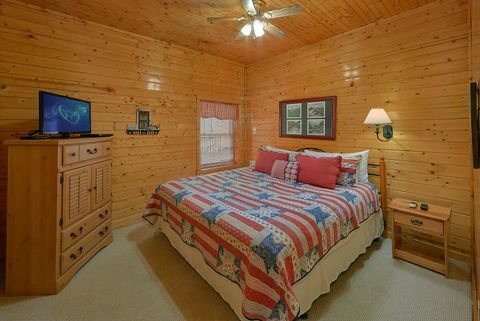 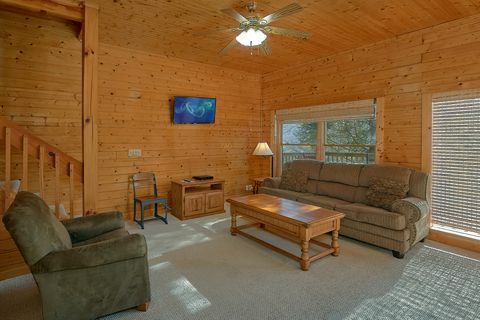 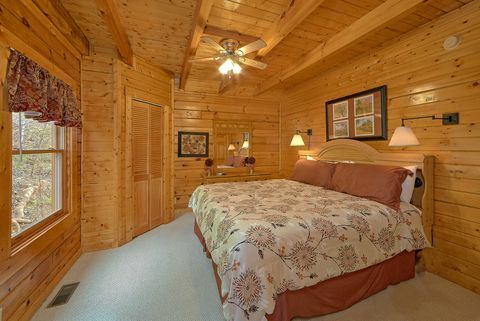 "Suite Retreat," your cabin rental near the Great Smoky Mountain National Park, offers everything you need for a memorable vacation in the Gatlinburg-Pigeon Forge area. 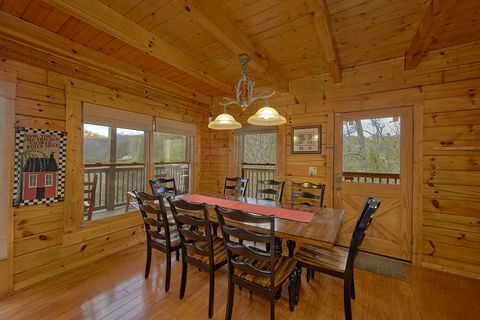 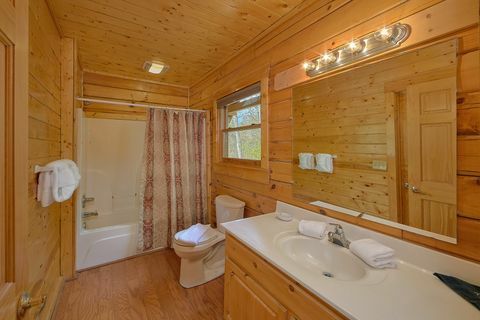 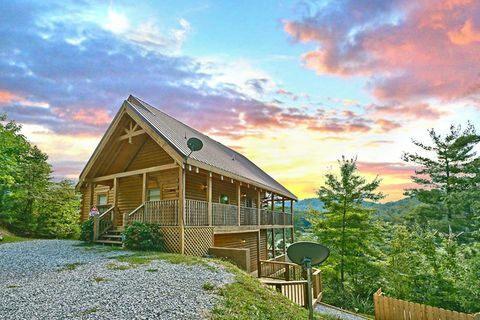 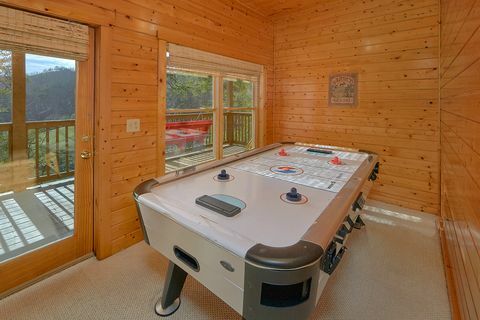 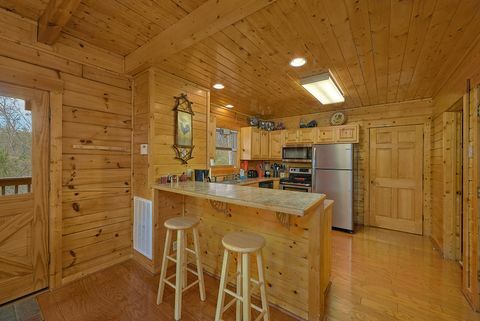 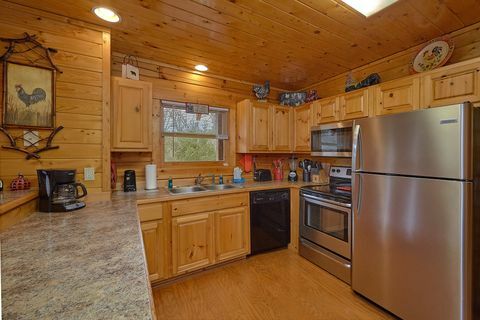 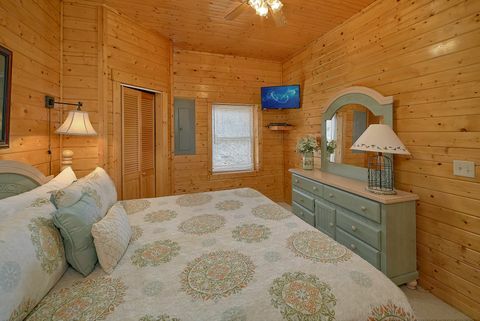 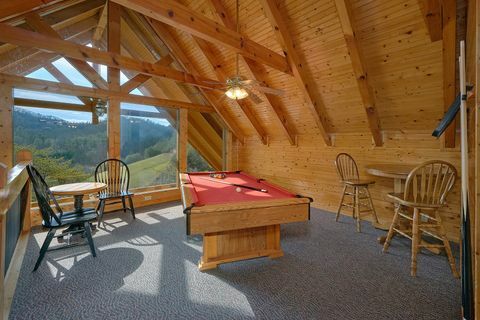 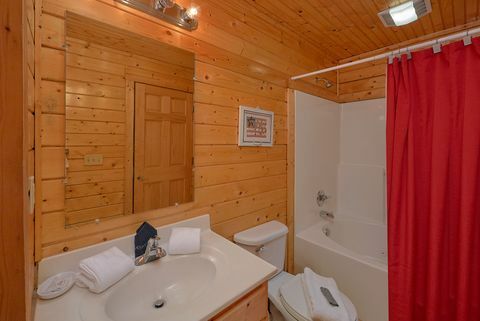 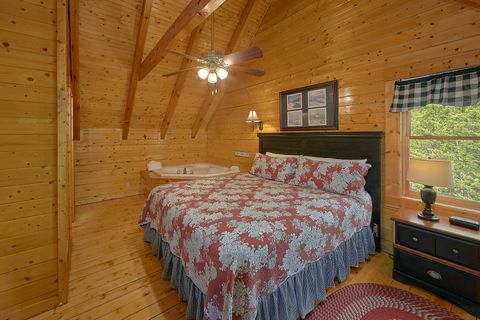 Escape to this affordable cabin rental with mountain view and enjoy awesome sunset views of the Smokies from your cabin’s porch with hot tub, rockers, or a porch swing. 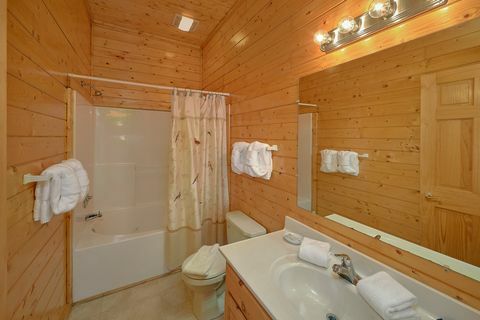 Your cabin’s 2 driveways can accommodate up to 4-5 vehicles, making "Suite Retreat" perfect for a girl’s weekend getaway, large family reunion or church retreat! 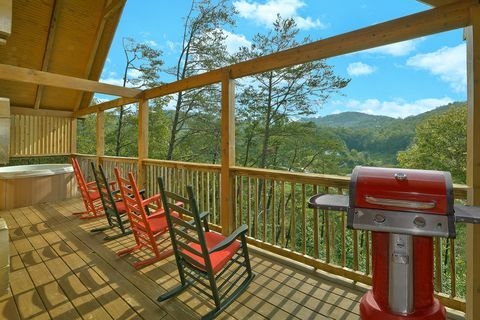 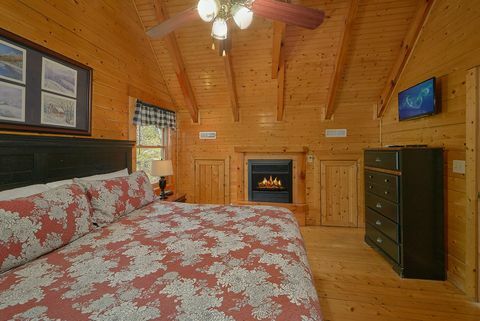 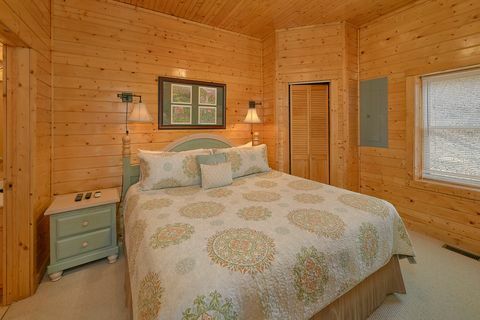 Your Smoky Mountains National Park cabin rental sleeps up to 10 guests. 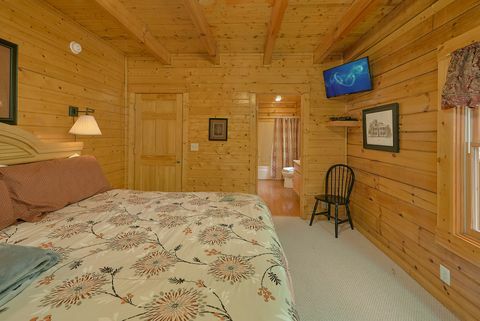 There are 4 spacious suites, each with a king-size bed, bath, and television. 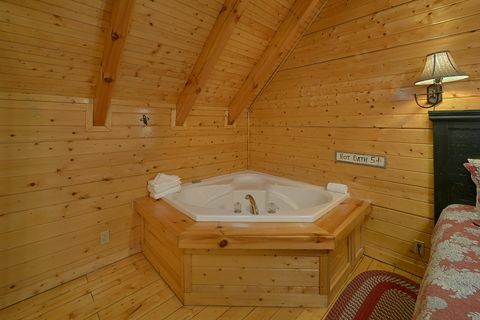 Of the 4 suites, 3 have jacuzzis tubs, and one also has a gas log fireplace for added romantic ambiance. 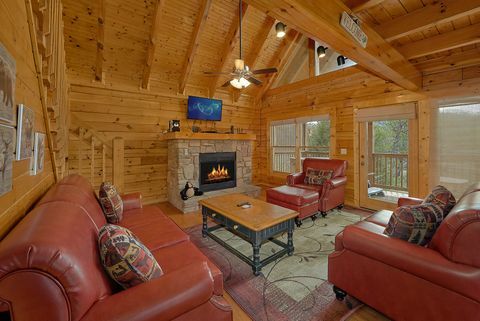 An additional sleeper sofa accommodates two more guests. 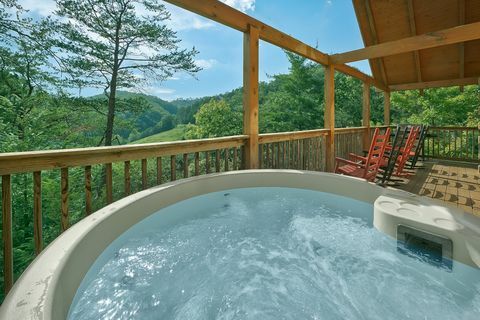 Plan your "Suite Retreat" today and remember, when you BOOK your cabin rental near the Great Smoky Mountain National Park ONLINE with Cabins USA you get an immediate Online Cabin Rental Discount!